Today’s recipe is perfect for a quick summer meal! The inspiration was a bottle of garlic infused oil I picked up at Wegmans and the garlic in last week’s CSA share. 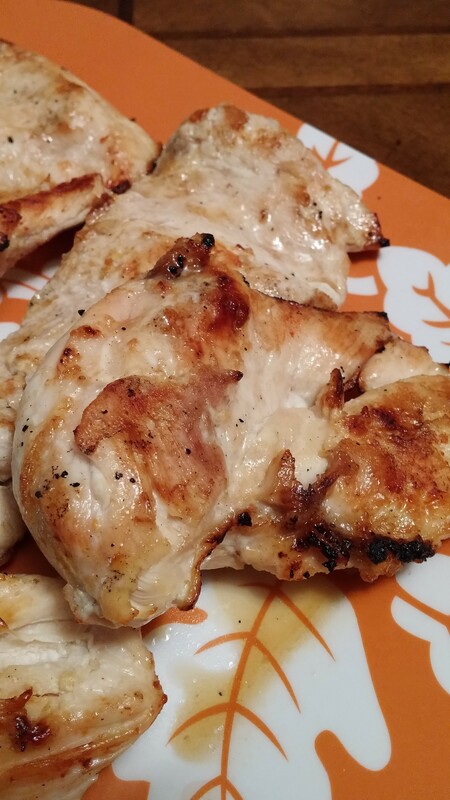 All you need is 3 boneless chicken breast cut in half through the middle so you have a thinner breast but not too thin. This also gives you 6 chicken breasts! Place the chicken in a big ziploc bag add 4 cloves of garlic minced, garlic powder and the garlic oil. 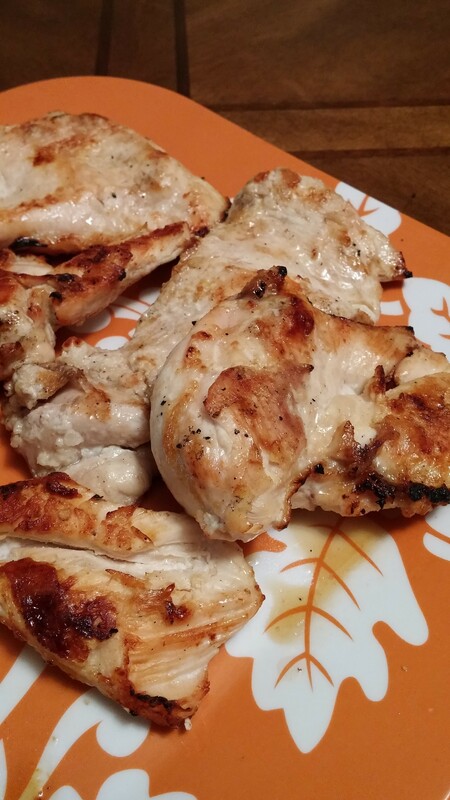 If you want a stronger flavor add a clove per piece of chicken! Marinate at least 4 hours. The longer it sits in the marinade the more flavor it will have. Then grill until thoroughly cooked. I serve it with lettuce leaves, tomato slices and avocado dressing. ENJOY!